Back in March we published an article titled. 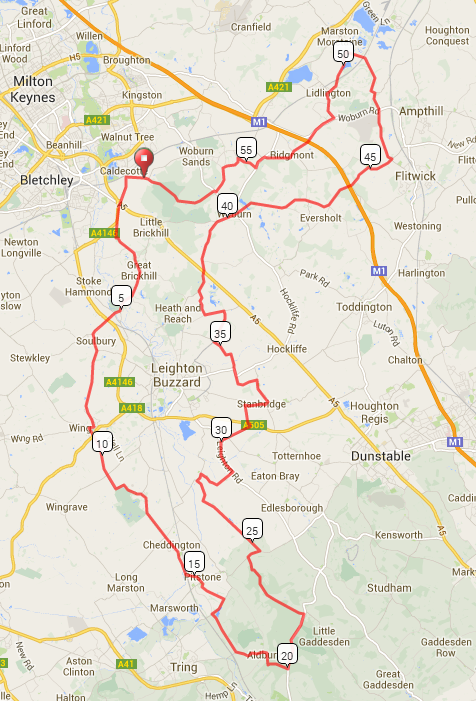 ‘Challenge Yourself – Take Part in a Cycling Event’ on one of our followers on Facebook did exactly that! Ryan booked into the Evans RideIt! MK Sportive on the 13th April – his first ever cycling event, and we tagged along to find out what he thought. 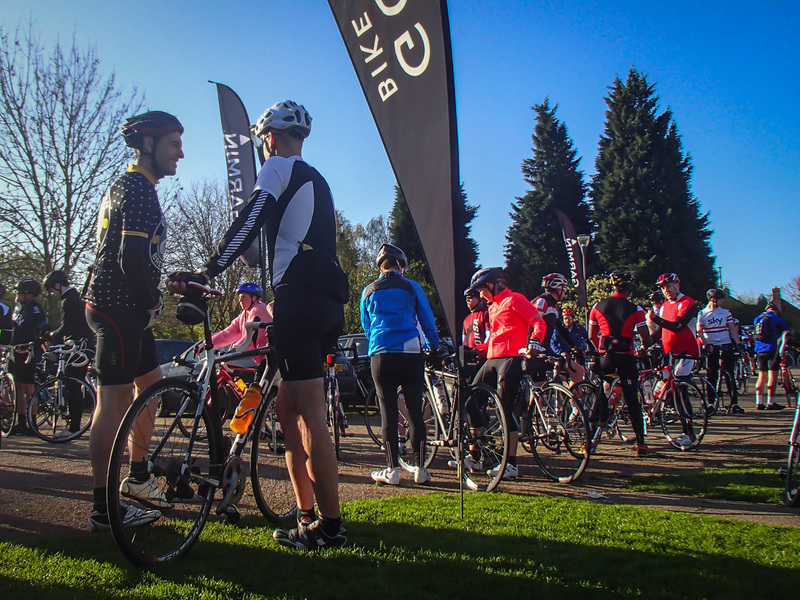 Urban Limits – What is your previous riding experience and why did you sign up? 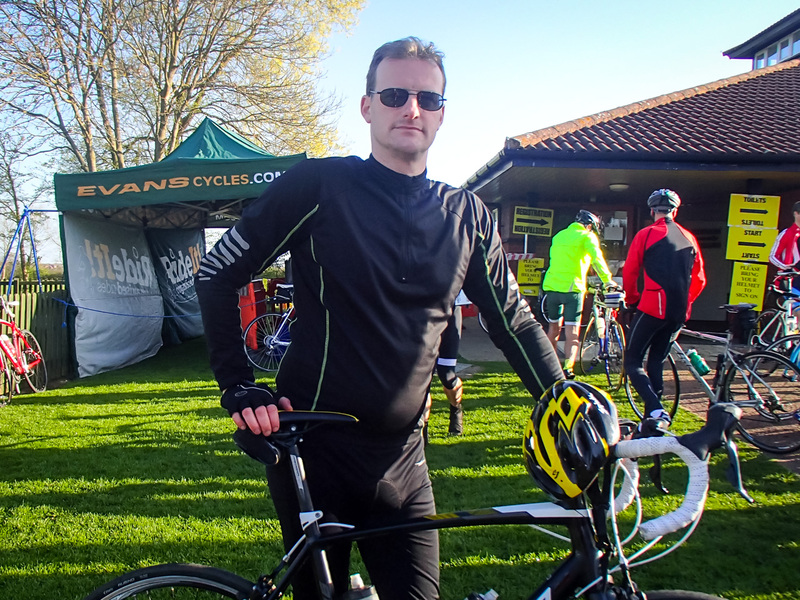 Ryan – After learning to ride bikes as a kid, Cycling took a back seat after discovering motorbikes age 16, only got back on to a bicycle about 10 months ago via cycle to work. Signed up because a friend thought it would be a good idea. The event had over 600 participants and sold out a couple of weeks in advance, probably because at £17.50 it’s very well priced and the fact that you get a bunch of freebies from HighFive if you register early. The day dawned and it was a crisp Spring start, perfect for cycling once you got the muscles warmed up. 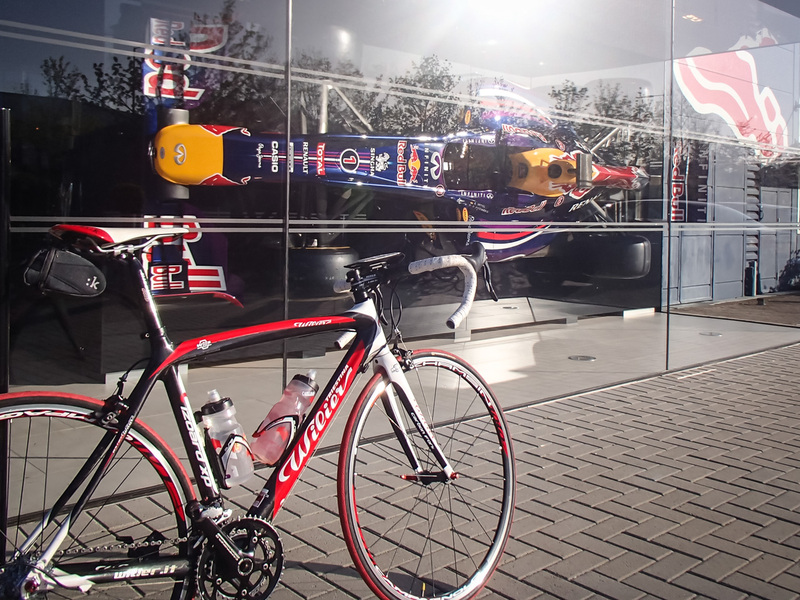 The event started just outside Milton Keynes with parking available at the Red Bull factory – a great opportunity for a photocall with Sebastian Vettel’s winning F1 car. 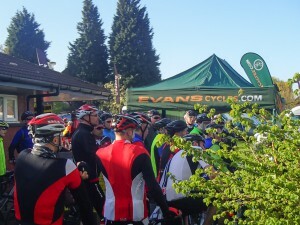 Registration was open earlier than the advertised 8:00am with riders able to depart from 8:30. 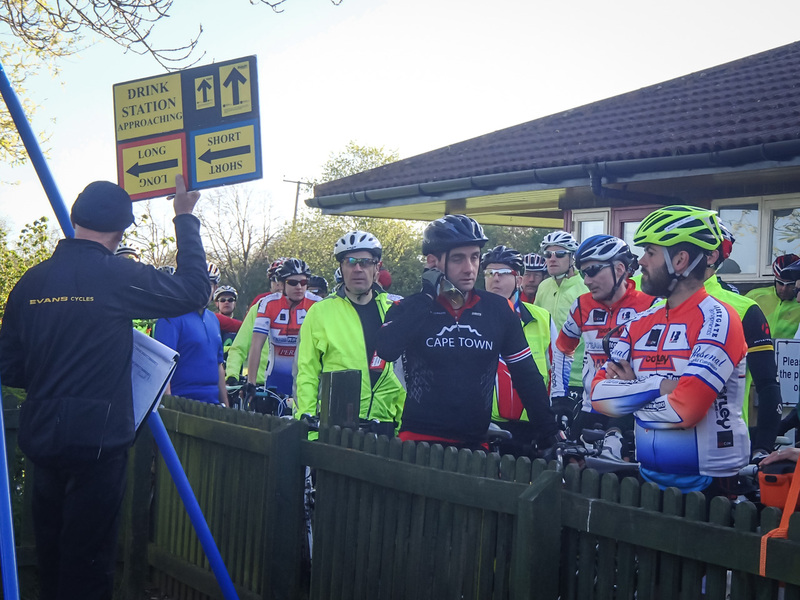 Once you got your map and timing chip / entry sticker it was a case of joining the queue for the staggered race briefings. Riders left in groups of around 30 ever 5-10 minutes so it was a bit of a wait for those last in the queue. 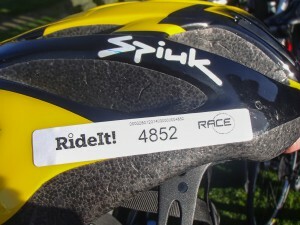 The emphasis was on fun and safety – big signs say, ‘This Is Not A Race’. Advice was given on tackling the large roundabout on the A5 near the beginning as well as a warning about potholes and the slightly gravelly section on the route. 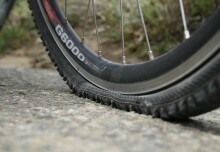 No information was given on hand signals used to warn of potholes though and many riders didn’t use them – possibly as they were new to group rides. 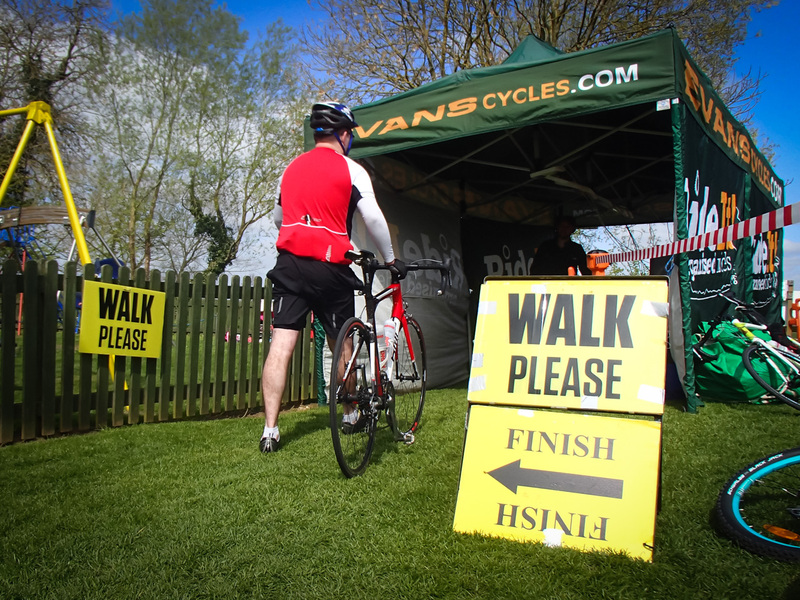 Once through the starting tent it was onto the route, following the ‘Medium’ course (60 miles, graded 3/5), and keeping a very close eye out for the pink waymarkers. They weren’t the largest signs in the world but once you got used to them everything was fine with no missed turns! The course didn’t seem very hilly but once we got to Aldbury we came across Tom’s Hill, a short, steep climb of about 70 metres. Once we got up high there were some great views and a fast descent before reaching the first feed station at the 28 mile mark. 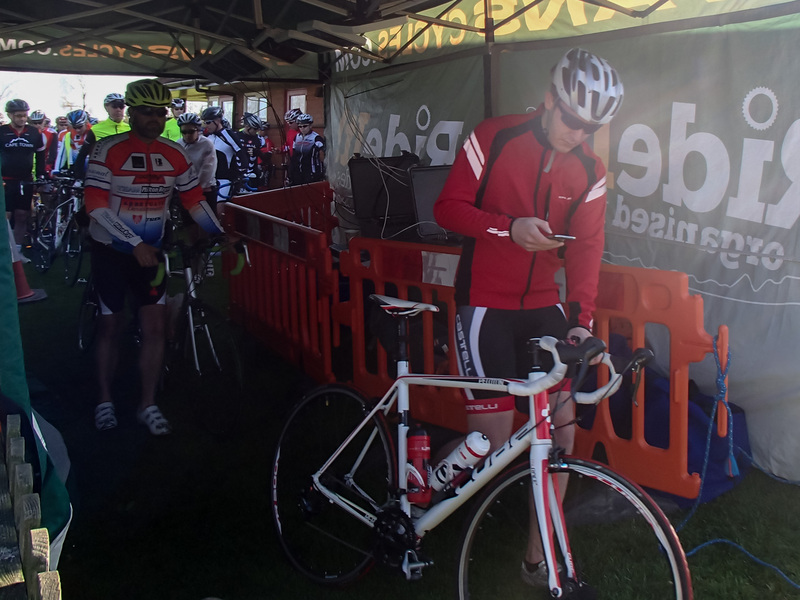 We made it there in only 1hr 38 mins, a proper fast time ranking in the top15% of those who logged the ride on Strava! Not bad for a novice. 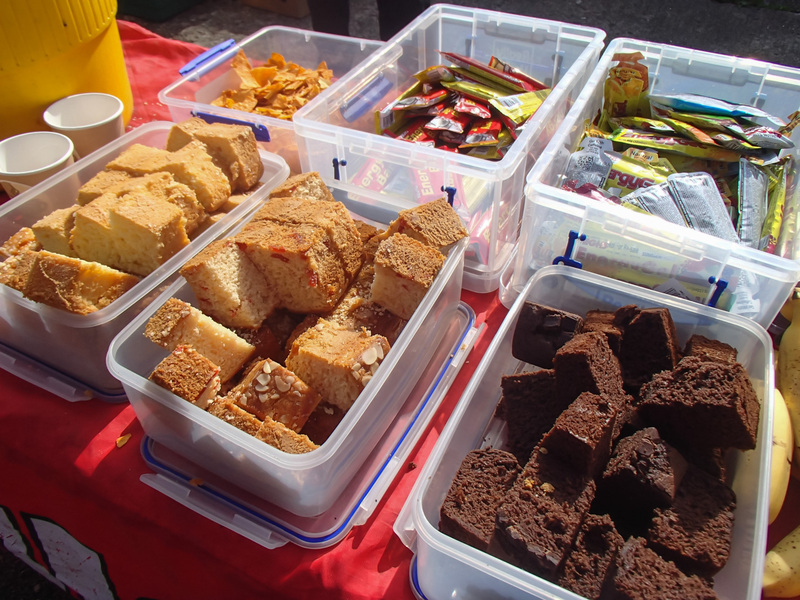 The lure of refreshments (and comfort break) were too hard to resist and it gave us the chance to chuck some cake and drink down us before setting off on the second half of the event. 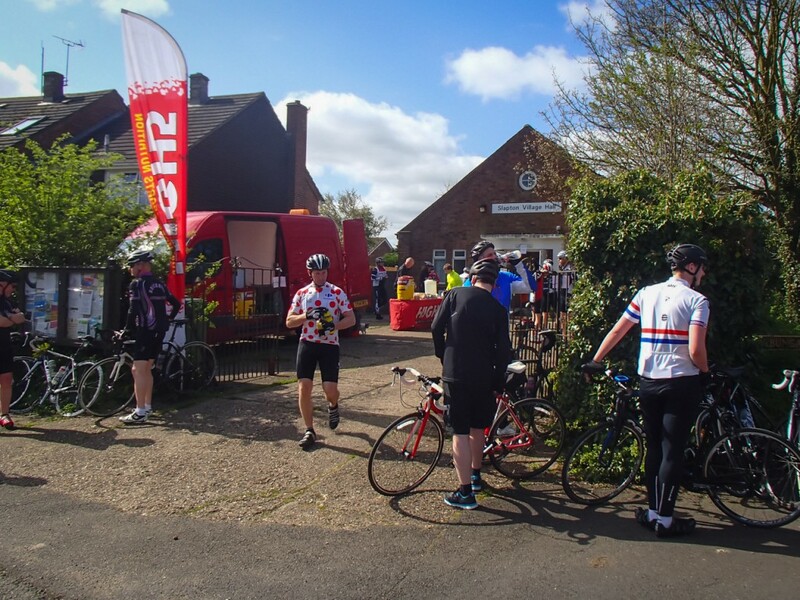 The second half of the route was a bit more lonely though and we didn’t bump into any other riders until we reached Woburn at the 40 mile mark. As the field stretches out you don’t tend to see many others, apart from the normal Sunday cyclists, although we were caught by one guy on a TT bike who was using the event as preparation for an Ironman later in the year! Riding in a large group of riders really makes a difference to your speed as I found out after being dropped off the back with 20 miles to go (there’s a whole bunch of excuses but I don’t have the time to go into all of them now). Ryan stayed in the pack though and carried on to the end, via the Cat 4 Lidlington Hill (84m gain), and posted an impressive time of 3:46:53 including the drinks break. That is a serious performance and well above average for the route. The message that this sends out is that you probably aren’t as slow as you think and you should really go on a ride to find out! Strava is the most popular site used by cyclists to compare rides and the screenshot shows how many different sections along the ride are classified as ‘segments’. Looking at the relative performance vs all previous riders shows some very respectable top-half performances over the first half of the course but lagging behind towards the end as fatigue set in. It may have helped if we had studied the route a little more in advance – Evans provide .GPX files for use with Garmin BikeNav systems. Knowing there was a big hill at the end may have made us slow the pace a little at the start, or taken another break at the second feed station which we skipped. Urban Limits – What did you think of the organisation, instructions, briefing, directions? Ryan – Everything seemed to run very smoothly, the map was good but not really required, as the course was well signposted. The Cake at the drinks stop was really nice, not sure if it helped or hindered my final time. 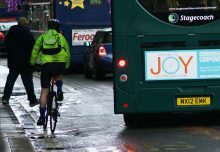 Urban Limits – Did you learn anything about cycling, safety and technique? Ryan – The main thing was learning to ride in a group, most of my normal rides are on my own, the group riding was very enjoyable. Urban Limits – What did you enjoy most? 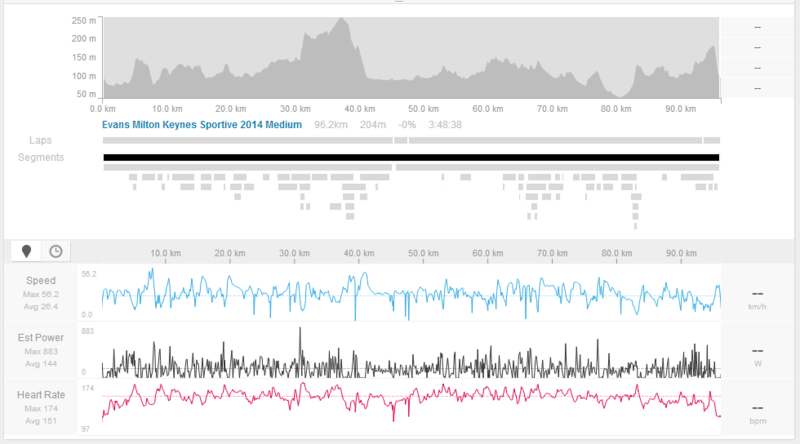 Urban Limits – How did you do – were you surprised at your performance? Urban Limits – What would you change about the event? 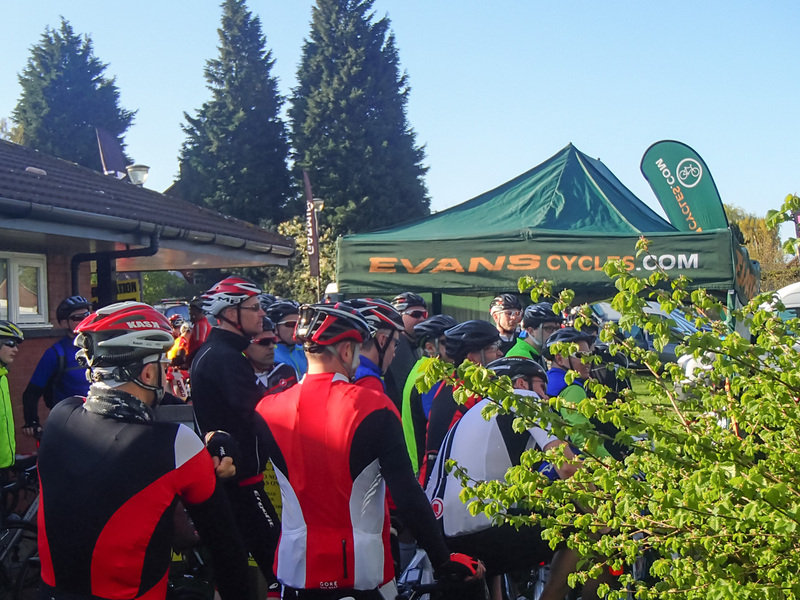 Ryan – Nothing really, it was a well organised solid first sportive for a novice rider it was the perfect first mass ride, I have already signed up for another. So, if you think you might be interested in signing up to an event check out this website where you can find a list of all event in your area. Evans have a RideIt! in Reading in June – you might want to check it out.